Lists characteristics, including history, description, and photos of the state designations. Insects or Insecta are by far the largest group of hexapod invertebrates within the arthropod phylum. 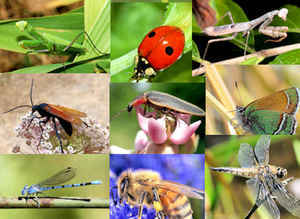 Definitions and circumscriptions vary; usually, insects comprise a class within the Phylum Arthropoda. Find images, descriptions, taxonomic hierarchy, and a history of the insect and butterfly representing the symbols for each of the 50 states. Lists their basic characteristics, including history, description, and characteristics. 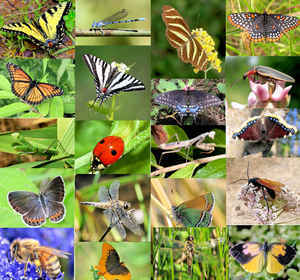 Some states have designated a state butterfly or a state agricultural insect in addition to a state insect. A few states didn't bother with a state insect, but did choose a state butterfly. In 1929, California designated the dogface butterfly as its state insect, becoming the first state to adopt an insect as an official symbol. 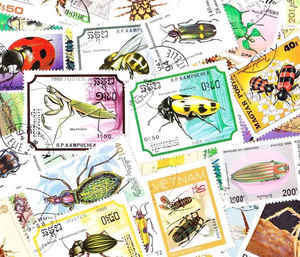 Some states have multiple state insects and multiple categories. For example, Delaware has adopted a state butterfly, a state bug, and a state macroinvertebrate. Now, 46 states in the United States have officially designated State Insects. Eighteen states have adopted the Honeybee as their official state insect. The Monarch Butterfly makes a strong showing with seven states designating this beautiful insect as either an official state "insect" or an official state "butterfly."